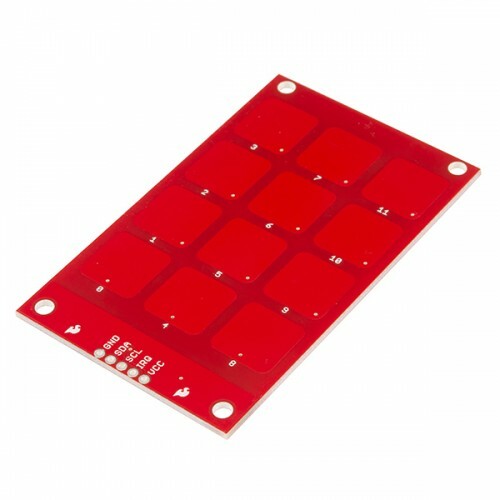 The MPR121 capacitive keypad uses the MPR121 and 12 touch sensitive pads to give you a simple 'keypad' with an I2C output. These keypads function by measuring the capacitance of twelve electrode points. When an object comes close to the electrode connector, the measured capacitance changes. This signals the MPR121 that something has touched a ‘button’.